Duncan is a writer and director for theatre, television and film. His plays have been produced across Australia, New Zealand and the United Kingdom, by companies including Sydney Theatre Company, Melbourne Theatre Company, State Theatre Company of South Australia, Melbourne Festival, Belvoir, Malthouse Theatre and Windmill Theatre Company. Duncan's plays include: AMPHIBIAN; ANGELIQUE; BLACK CROW LULLABIES; CREDITORS; CUT; DREAMS IN WHITE; HALF-REAL; NO EXIT FROM THE ROOF; ONE LONG NIGHT IN THE LAND OF NOD; OLLIE AND THE MINOTAUR; PLEASE CONTINUE; PRODIGAL JONES; READY OR NOT; RED INK; THE HIGHWAY CROSSING; THE LOVE PLAY; THE MYTH PROJECT - TWIN; and WOLF LULLABY. His play CUT premiered at Belvoir, toured to the Edinburgh Festival (where it won an Edinburgh Fringe Award) and had a London premiere the same year. DREAMS IN WHITE had a sold-out season at Griffin Theatre and is optioned by Madman Productions; and Duncan is commissioned to write the screenplay, WHITE. In 2018, Duncan had three critically acclaimed world premieres: CREDITORS for State Theatre Company of South Australia; AMPHIBIAN for Windmill Theatre; and ANGELIQUE with isthisyours?. Twice winner of the Jill Blewett Playwrights’ Award, Duncan has also won the Adelaide Fringe Award; the Curtain Call Award; and the Edinburgh Fringe Award. Duncan was shortlisted for: NSW Premier’s Award for DREAMS IN WHITE; Griffin Playwrights’ Award; four times for the Jill Blewett Playwrights’ Award; and twice for the Max Afford Playwrights’ Award. 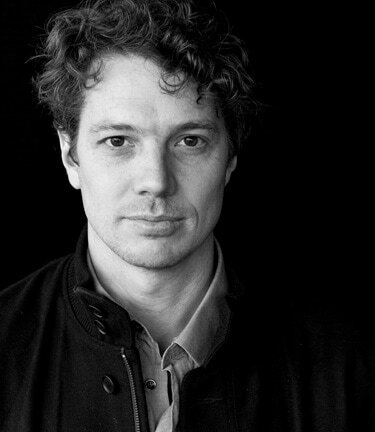 He received a Sydney Theatre Award nomination for Best New Writing for CUT and a Curtain Call nomination for his direction of THE HOMECOMING. Duncan holds an honours degree in Medical Science and Anthropology from the University of Adelaide. He is a graduate of Adelaide Centre for the Arts in Acting. Duncan has held positions as Associate Artist State Theatre Company of South Australia; Griffin Theatre Studio Member; and Associate Playwright at Sydney Theatre Company. Duncan’s screenplay, RED INK, won the Sydney Film Festival Lexus Award and the short film (directed by Alex Ryan) premiered at Sydney Film Festival in 2017 and screened at Flickerfest and Palm Springs International Film Festival in 2018. RED INK went on to win numerous other awards including Best Screenplay at Canberra Short Film Festival and Best Short Film at the International Human Rights Film Festival. Duncan is currently under commission to write a large-scale work for Queensland Theatre. He is developing an original comedy for television with Mondo Studio Films; and an original seven-part drama for television with producers Peter Lawson and Robert Connolly.